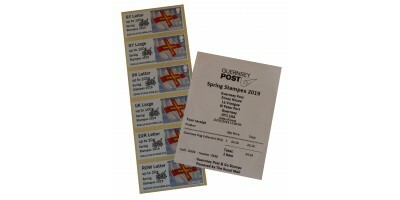 Guernsey Post is delighted to offer the B series of Guernsey Post and Go Stampex Flowers Overprint f..
A special commemorative envelope, limited to 1000 editions will be issued by Britain’s Crown Depende.. 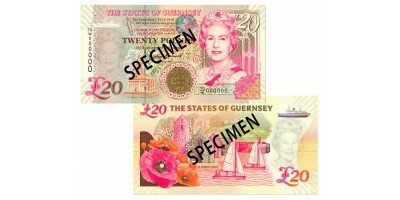 The States of Guernsey is delighted to present a new version of the £20 to commemorate 100 years sin.. 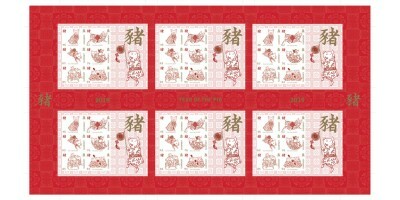 Containing six Souvenir Sheets this Uncut Press Sheet, also known as a master sheet or printers shee.. 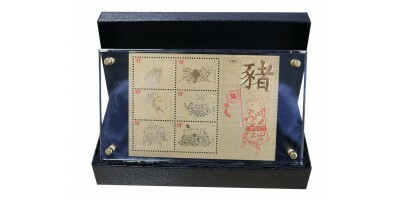 The Gold Foil Souvenir sheet is produced in 24 carat gold (99.9% pure), mounted inside an acrylic di..